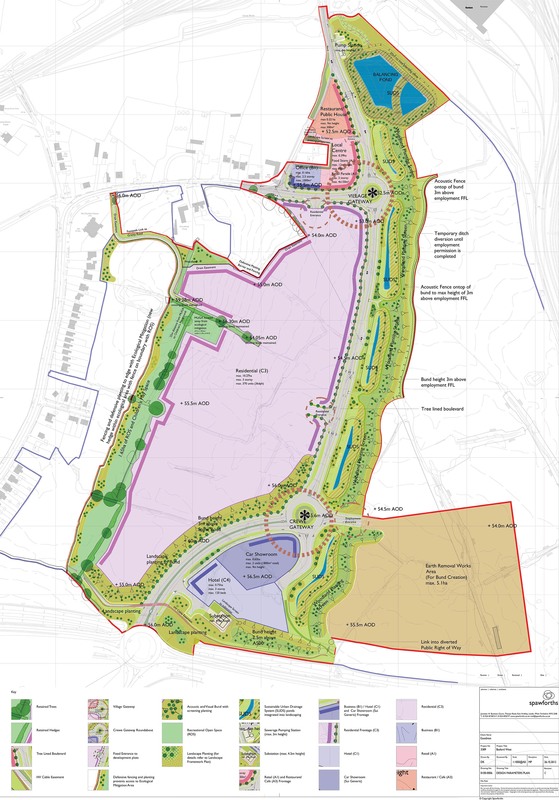 Spawforths secured planning permission for major employment activities on this 52ha Regional Strategic Employment Site but due to the economic down turn and high abnormal development costs, we reassessed the opportunity for our clients, Goodman, and secured outline planning permission for a residential-led mixed-use scheme. The higher value uses cross enabled the delivery of the employment space and a 1.1km new road through the site which opened it up for prospective occupiers as well as creating a new vehicular access linking Crewe Town to the A500. We worked closely with the Client and Council to agree a delivery package of road and drainage infrastructure and the £7m road was completed and opened in Summer 2015.